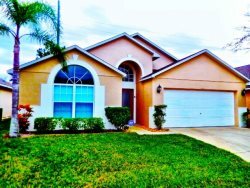 This cozy and nice villa is a perfect destination for those, who want to escape from cold winter days or for those who want enjoy hot Floridian summer! Cozy and bright rooms full of sunlight create this amazing atmosphere that makes you feel like home. But the best part of this house is definitely a pool area- crystal clean private pool and, facing luscious greens of the Golf Course is all you need to make your vacation unforgettable and relaxing!The villa is located in Southern Dunes Golf Club Community- one of the best public golf courses in Florida and has been Ranked #6 in Golf Digests Best Courses in the State. The clubhouse of Southern Dunes serves breakfast, lunch and dinner during the day. This community also has several community pools if you wish to meet up with the neighbors. The tennis courts and the kid’s playgrounds add to the activities to be enjoyed.